Who knew the Minotaur was so lonely? I can't wait for more from Steven Sherrill. It's so exciting to find a brand-new author, one who isn't afraid to depart from genre conventions in his first public performance. In that respect the novel reminded me of Carl Hiaasen--why have your characters do something typical and expected if it's not in their nature? And (I feel like a freshman in a lit-crit class even saying this) of course I identified with the Minotaur. 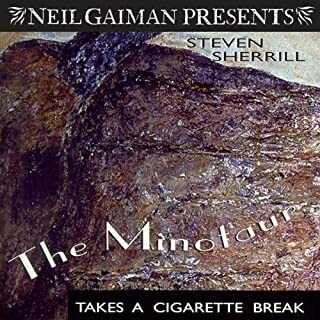 I think we're all the Minotaur. We're all haunted by memories of our past, even if it's not 5,000 years old, and trying to reconcile our pasts with our presents. We are all lonely in a way no one quite understands, but if we're lucky, someone might love us anyway. The performance was good but not especially memorable, which in this case I think is a good thing--what I remember is the story rather than the narrator, so he must have done a good job at inhabiting the role. Utterly fantastic--loved the full cast! This wasn't just a book, it was a week-long experience. The full cast turned an already fantastic novel into a fantastic production. 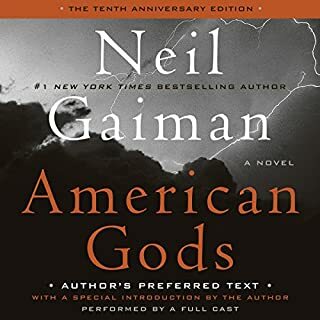 I usually think writers prefer the written page, but I actually think audio is a better medium for this work, and I think Gaiman might agree. 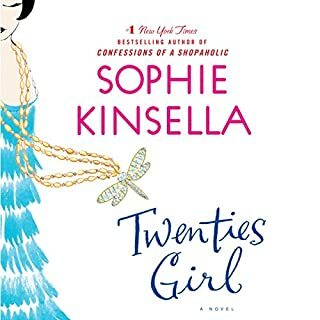 I adore Sophie Kinsella, but I had put off Twenties Girl because it sounded like a more complex story than the sweet chick lit I'm looking for when I read her. I'm glad I finally did listen to this one; having a second heroine necessarily made the plot more complex than most of the meet-cute, happily-ever-afters I like. I did get--and stay--annoyed at the main character for not coming up with a way to talk to her aunt inconspicuously. If you're going to write a ghost, give the living a way to communicate with her without looking silly! Wish I had borrowed this from the library so I could have skipped some parts. 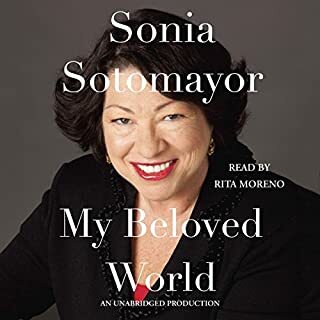 I wouldn't expect very many people to include much unflattering material in an autobiography, but Sotomayor's portrait of herself leans towards photoshopped saintliness. I'm glad I know more about her personal history, but would rather have saved my money for something more fun, honest, or surprising. Like Barbara Pym, E.F. Benson, and, mother of them all, Jane Austen, Angela Thirkell has created a small world of her own in the English countryside. Calf-love, village affairs, and literary effort are her nominal subjects, while people at their imperfect best are her real subjects. The Brandons have already made my year! Hilarious, evocative, and delicious. I'd never read any Thirkell before and now I can't find her fast enough! Funnier than Dickens, as incisive as Austen. I wanted to take the Brandons and introduce them to all the characters of P.G. Wodehouse and E.F. Benson for a gorgeous literary mashup.